Vectus Industries Limited is India’s leading and fastest growing pipe and water storage solution company. It is the pioneer in establishing Blow Moulded technology as an alternate method to Roto Moulding for large size water storage tanks. Vectus previously worked with a limited IT infrastructure that could not support our growing business. Confidence and trust in IT systems were very low across the business largely because staff could tell that its lack of a robust ERP system hampered its operational efficiency. What’s more, coding errors in its applications meant Vectus had to restart up to ten times on some days, causing around 24 hours of downtime every month. Sometimes, employees accidentally made multiple entries for the same order, resulting in customers receiving products twice. "Similarly, if we made mistakes such as documenting the original sale but not making a corresponding entry in the billing system, customers received their goods but were never billed. Even worse, if an order was not entered into our legacy systems correctly, customers would call us and demand updates on where their goods were, and we couldn’t give them a satisfactory answer. All in all, our lack of accurate reporting was impacting our service and preventing us from maximizing revenues"-said Manish Sinha, Head of IT Vectus Industries Limited. 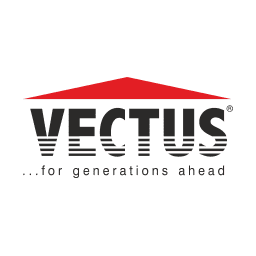 With the new ERP solution in place, Vectus Industries reduced its reliance on manual data entry and now generates instant customer invoices and accurate sales records. Customers receive SMS messages to inform them that their orders have been processed and dispatched. Meanwhile, the finance team enjoys real-time access to data to monitor business performance, enabling smarter budgeting and planning. This rapid one-click accounting and cross-business transparency help Vectus Industries easily meet compliance regulations, and complete audits and financial reporting speedily. “We are excited with the technological transformation at Vectus. This quantum leap to becoming a future-ready corporate is in sync with our business vision. Owing to our belief of producing world-class quality products and offerings in the storage and pipe product industry, SAP S/4 HANA ERP will give us renewed vigor to scale-up across key and critical departments, and enable swift growth in our markets in India and exports.”-said Ashish Baheti, Managing Director at Vectus Industries Limited. “Prior to the installation of SAP S/4 HANA, our IT infrastructure wasn’t as well equipped. We had to start from scratch and work extensively on our infrastructure plants, depot, streamlining legacy software so that the team could focus on new implementation. It was a tough uphill challenge but we succeeded in installing a world-class product at a regional and local level. We appreciate the efforts put by vCentric in educating us about S/4 HANA. They supported us in achieving this milestone for our organization at every curve. We completed the project in time even with limited talent pool, resources”-said Manish Sinha, Head IT at Vectus Industries Limited.